Experience the classic appeal of the original Best Grillz™ bottom teeth grillz. 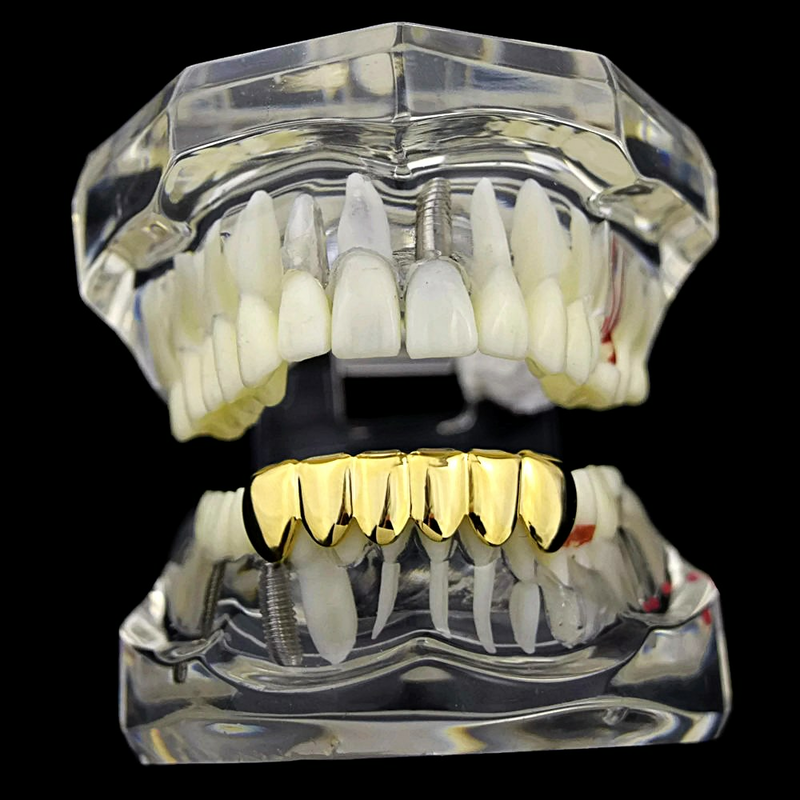 No-frills, all gold plated teeth for a solid design that hits hard. 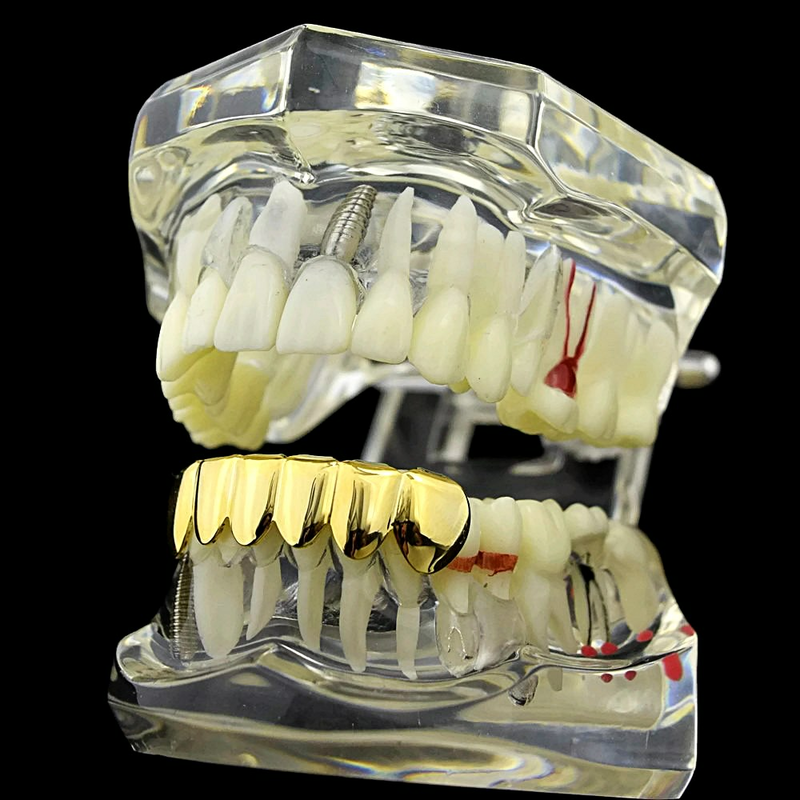 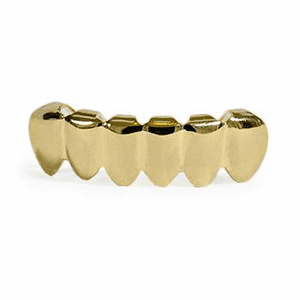 Best Grillz™ lower six gold teeth grillz. 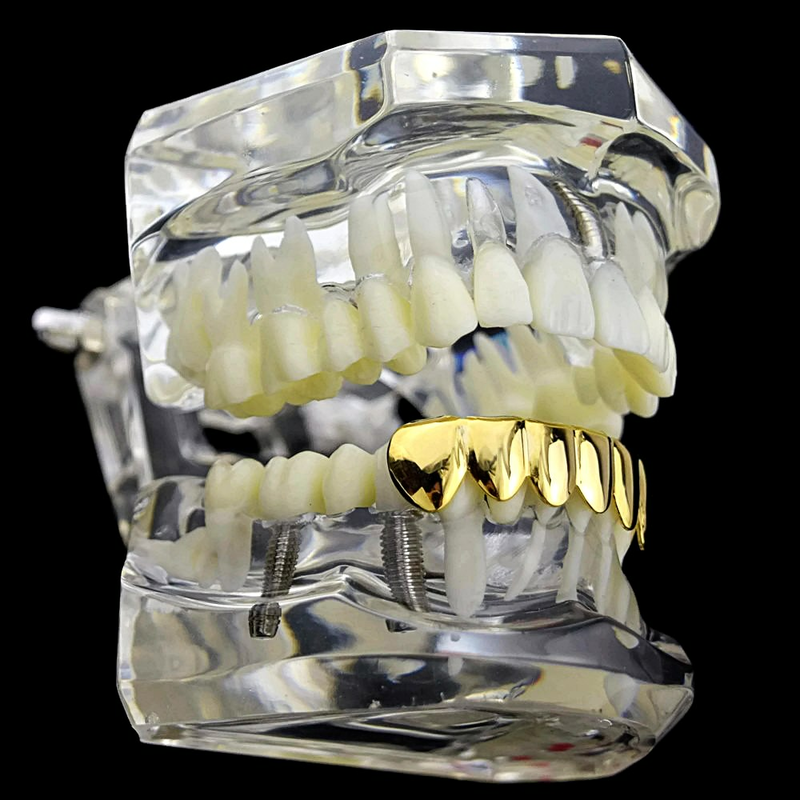 Hip hop grillz are 14k gold plated on brass. 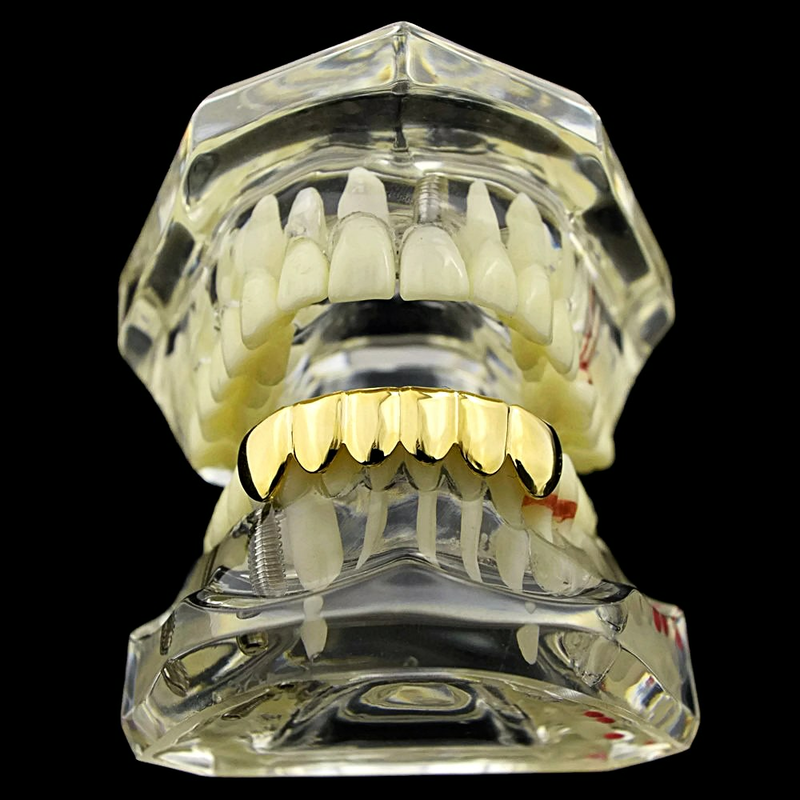 Great for parties, shoots, clubbing, etc.